Launched in 2015, the MS Kleopatra has become one of the most popular luxury vessels offering an unforgettable intimate small ship cruise experience. The spacious air-conditioned cabins are beautifully appointed and well equipped with the latest amenities and modern design features. The ship’s public areas offer alternative comfortable zones for relaxing and socialising. The expansive salon-restaurant serves delicious regional dishes, daily buffet breakfast and light refreshments. There is also a chic lounge/bar and an outdoor terrace with tables and chairs. The partially shaded sun deck boasts sun loungers and a Jacuzzi. The luxury 43.6m MS Kleopatra was launched in 2015 to offer a comfortable and spacious intimate cruising option. 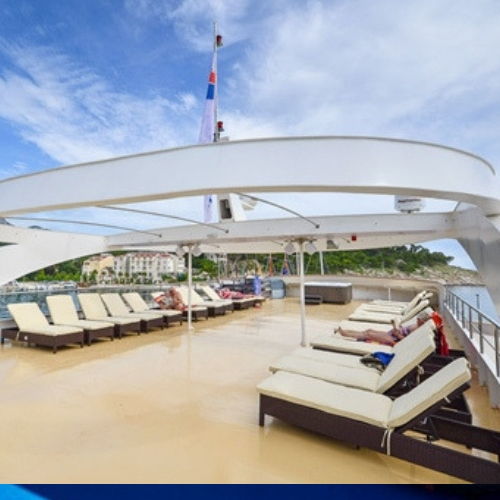 The vessel features the latest state-of-the-art technology and the highest level of safety standards. 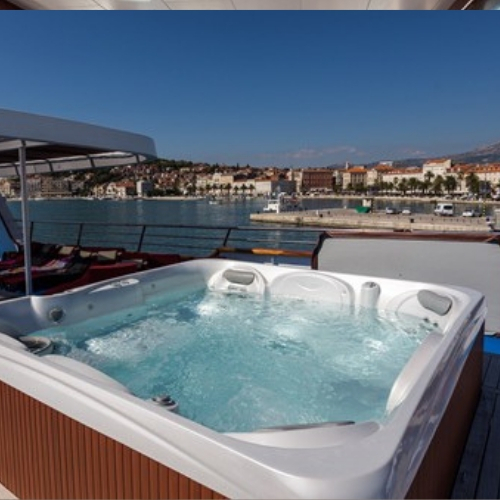 The 19 air-conditioned cabins boast a private en suite bathroom and a range of amenities to ensure optimal sailing pleasure and comfort. Free wi-fi is also available. The ship’s well-appointed public areas include an inviting lounge/bar and an air-conditioned salon-restaurant with panoramic views. 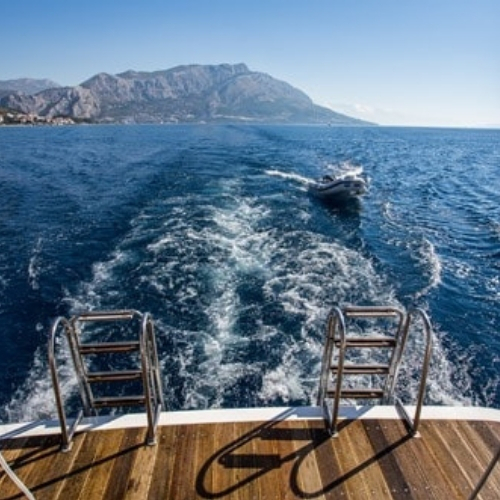 A swimming platform provides easy sea access, whilst the sun deck features sun loungers and a Jacuzzi. Tastefully decorated in a fashionable modern style, the MS Kleopatra’s 19 air-conditioned cabins provide comfortable and spacious accommodation for up to 40 guests. 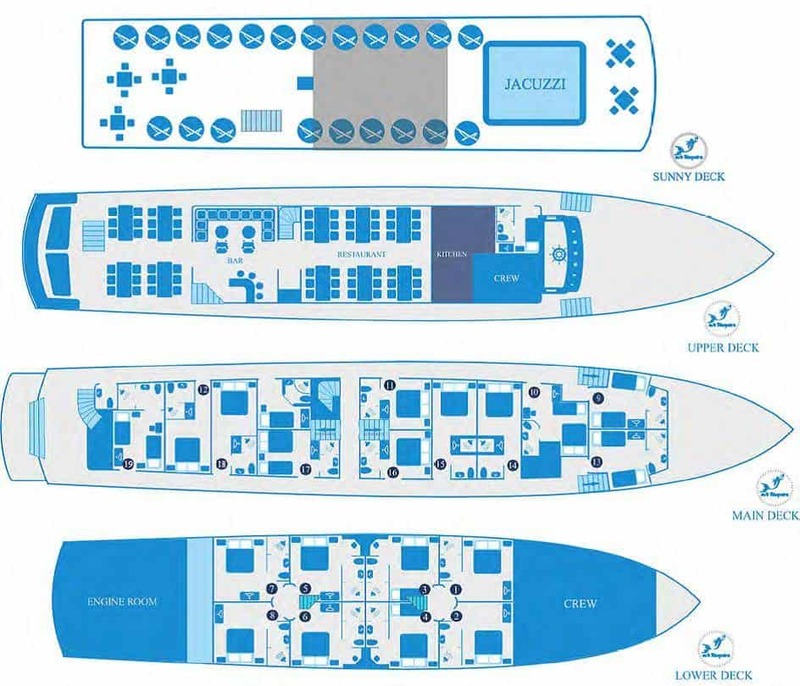 The flexible bedding configuration standard twin and double cabins are arranged over the main and lower decks, and feature either windows or portholes. All cabins include a private en suite bathroom with shower, flat-screen TV, wardrobe, desk, in-room safe, hairdryer and complementary toiletries. The décor is classic with contemporary designer finishing touches. Aboard the MS Kleopatra guests can unwind in communal areas that are modern, comfortable and well equipped with the latest amenities. There is an expansive air-conditioned salon-restaurant that serves tempting cuisine and breathtaking panoramic views. The lounge/bar area offers an alfresco wining and dining option that extends outdoors onto the terrace. 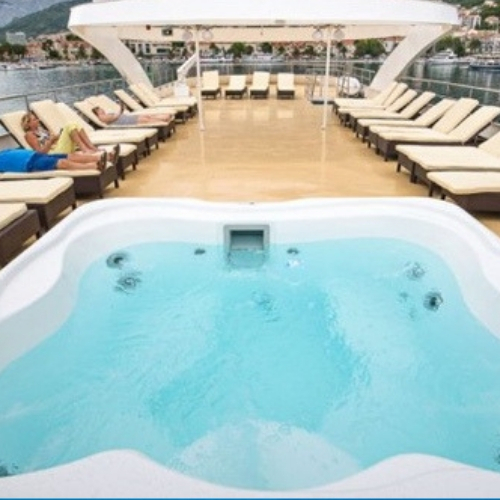 The sun deck features an array of sun loungers plus a Jacuzzi. To easily access the inviting turquoise waters during a scheduled swim stop, head for the swimming platform located at the ship’s rear.